A good pillow is just as important as a good bed for getting a good night’s sleep.You may have a favourite pillow that seems to help you sleep better. But it could cause acne and trigger allergies if it is more than six months old, one expert claims. Dr Robert Oexman, director of the Sleep to Live Institute in Mebane, North Carolina, told The Huffington Post that people sleeping on old pillows might be pressing their faces against dirt, oil and dead skin cells, which can cause acne. Is acne caused by a ‘bad’ strain of bacteria? Teenagers are faced with a myriad of challenges while growing up, one of which is acne, which affects four out of five Americans between the ages of 12 and 24. Thankfully though, there are effective treatments available right now that work to combat acne and ultimately reduce the damage caused by severe acne breakouts. However, a recent study has shed new light on the problem and may change the way that acne treatments work in the future. Look In the Mirror: What Does Your Face Tell You About Your Health? Mirror, mirror on the wall who’s the healthiest of them all? If you know where to look, your external appearance may be a window to your internal health. Your face not only gives you nonverbal signals about your well-being from unconscious facial expressions, but the state of your skin reveals a great deal about what’s going on inside, both physically and emotionally. Some facial diagnosticians can even diagnose incipient illnesses, such as the early stages of cancer. Instead of opting for potentially harmful mainstream acne medications, try safe and effective natural remedies for acne problems. You may find your acne and associated problems such as redness and light scarring completely gone or greatly improved in as little as two weeks or less. Before going to bed, bathe or shower and shampoo. Next, apply lemon juice over your face (this will itch for a minute or two). Rub in a small amount of pure tea-tree oil. Then, apply a thick layer of aqueous cream to your face and leave on overnight, lying on your back if you must. Or, after about half an hour or so, rub the cream in. Help this and other remedies along by eating three kiwifruit and about 3/4 cup of raw carrots daily. Pour some oatmeal into a small bowl. Mash up some raspberries and mix them with about a teaspoon of sea salt and the oatmeal. Add about two tablespoons of vinegar and one egg and mix with a spoon until it makes a pasty mix. Wash your face with an exfoliating scrub (such as apricot scrub) or exfoliate with a loofah. Steam your face and then apply the mixture thickly. Leave on for about 30 minutes or until the mixture is somewhat dry and starts to crumble off. Rinse with cold water. Mix in a bowl or container some lemon juice, a small amount of hydrogen peroxide, willow bark powder, echinacea and goldenseal. Mix together and use this solution as an astringent. Apply w/ cotton balls or tissue and leave it on your face to dry. Once it dries, put aloe vera on your skin. Do this twice daily after first washing your face. Take a small handful of fresh basil leaves (available at most grocery stores). Let the leaves simmer in two cups of water for about 15 minutes and then put the mixture in the refrigerator to chill. Apply the mixture to troubled areas or your entire face with a cotton ball. Gets rid of acne and also helps with any existing scarring. Dab a little egg white on pimples and leave it on overnight or sometimes apply it all over your face or affected area. You’ll likely notice results the next morning. Pimples/zits are reduced or gone, and your skin feels great. Soak a cotton ball in cider vinegar and add salt to the cotton ball. Apply to infected area and hold there for as long as you can. This should instantly reduce the swelling. Works well for large cystic acne as well. * Topical and oral colloidal silver. * Orange peel pounded well with water. * Cucumber leaves or grated pieces. * Rubbing the acne with a fresh cut clove of garlic. * Clove based face mask or a paste of fenugreek (methi) leaves. * Zinc supplements or a multi-vitamin with zinc. Note: A healthy diet and lifestyle, including stress management are also essential. Mr. Isaacs also has The Best Years in Life website for baby boomers and others wishing to avoid prescription drugs and mainstream managed illness and live longer, healthier and happier lives naturally. In addition, he hosts the Yahoo Oleandersoup Health group of over 2500 members and the CureZone Ask Tony Isaacs – Featuring Luella May forum, where he also serves as the local moderator for the Cancer Alternatives forum. Mr. Isaacs serves as a consultant to the “Utopia Silver Supplement Companyand he and his partner Luella May recently began hosting The Best Years in Life Radio Show for Rumor Mill News on the Micro Effect Radio Network. 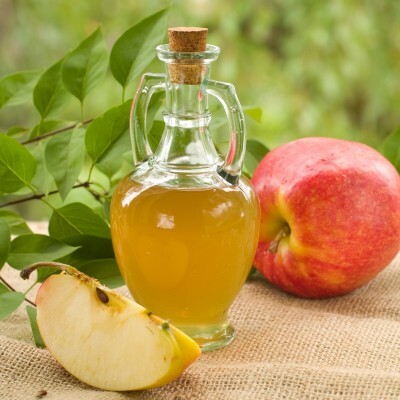 If time is a teacher, one thing we know is that apple cider vinegar is good stuff. The Babylonians used it as a tonic in 5000 B.C. so its been around for a while. It was also used in ancient Egypt (3000 B.C.) and by Samurai warriors in Japan (1200 B.C. ), so it’s grandfathered in – doesn’t need a double-blind study to prove its effectiveness. During the 1950s and ’60s, there was almost no way to get through puberty acne-free. Then the magnitude of acne-faced teens dissipated. Now acne, also known as pimples or zits, seems to be making comeback. As acne becomes more prevalent so are the pharmaceutical solutions dispensed by dermatologists. You know, the folks who say sunshine will cause skin cancer and recommend you lather up with those carcinogenic sunscreens. Herbal preparations of thyme could be more effective at treating skin acne than prescription creams, according to research recently presented at the Society for General Microbiology’s Spring Conference in Dublin. Further clinical testing could lead to an effective, gentler treatment for the skin condition. Researchers from Leeds Metropolitan University tested the effect of thyme, marigold and myrrh tinctures on Propionibacterium acnes — the bacterium that causes acne by infecting skin pores and forming spots, which range from white heads through to puss-filled cysts. 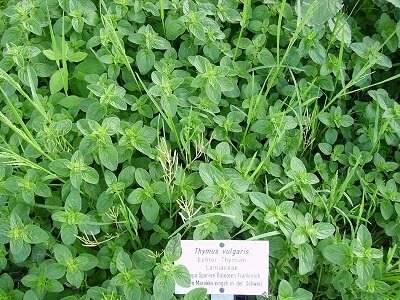 The group found that while all the preparations were able to kill the bacterium after five minutes exposure, thyme was the most effective of the three. What’s more, they discovered that thyme tincture had a greater antibacterial effect than standard concentrations of benzoyl peroxide — the active ingredient in most anti-acne creams or washes. Dr Margarita Gomez-Escalada who is leading the research project explained how tinctures are made from plants and herbs. “The plant material is steeped in alcohol for days or even weeks to prepare a tincture. This process draws out the active compounds from the plant. While thyme, marigold and myrrh are common herbal alternatives to standard antibacterial skin washes, this is the first study to demonstrate the effect they have on the bacterium that causes the infection leading to acne,” she said. The researchers used a standard in vitro model that is used to test the effect of different substances applied to the skin. The effects of the tinctures were measured against an alcohol control — proving their antibacterial action was not simply due to the sterilizing effect of the alcohol they are prepared in.